What’s The Best Electric Shaver For Black Men (2018)? Shaving can be an unpleasant and even painful experience for some men. Apart from the usual problems, black men may have to deal with some specific issues due to the particularities of their facial hair. Therefore, choosing a suitable electric razor should come as a priority. Finding what would ideally be the best electric shaver for black men is a matter of understanding the specific problems that may arise and choosing the razor accordingly. Not all shavers are made equal and some of them are simply better than others in certain situations. Then there’s the problem of budget constraints; luckily, there are electric razors available at various price points, some of them offering excellent value for money without making significant compromises in the performance department. In this article we’ll go over the most common problems faced by African American men when it comes to shaving and check out some suitable electric shavers. Black men and shaving: what are the most common problems? What are the hallmarks of an electric shaver suitable for black men? What are some of the best electric shavers for black men? Even though men of all ethnicity have to deal with the unpleasant and painful side of shaving, African American men seem to be affected to a higher degree. The main reason for that is their curly, wiry, coarse facial hair and its tendency to become ingrown, leading to painful razor bumps and irritation. A razor bump forms when one hair that was cut close to the skin starts growing and curls back into the skin. To make matters worse, a typical shaver will cut the hair at an angle (since the hair often grows parallel to the skin), leaving it extremely sharp and making it even easier for the hair to penetrate back into the skin. The body then sees the ingrown hair as a foreign object and an immune response is triggered in the form of an inflammatory process. It’s easy to see why hair that naturally curls is much more likely to cause razor bumps. 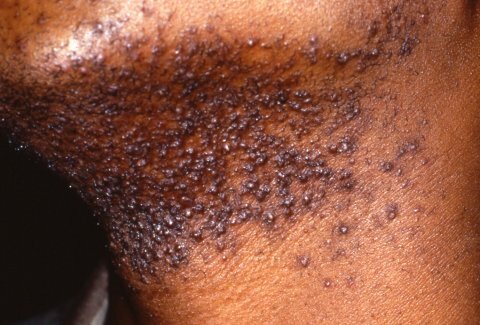 In more severe cases, these bumps can break out all over the face and neck and shaving before they heal can even cause scarring. In this case, seeing a dermatologist is highly recommended. It must be good at dealing with flat-lying, wiry, curly hairs. As mentioned previously, the fact that a typical shaver will cut the hair at an angle, leaving it sharp and prone to penetrating back into the skin will only increase the odds of becoming ingrown. A suitable electric shaver will lift the hair and cut it straight. Also, it must effectively capture and cut longer hairs that grow in different directions. Someone with sensitive skin may have to wait a few days before shaving to allow the skin to heal. 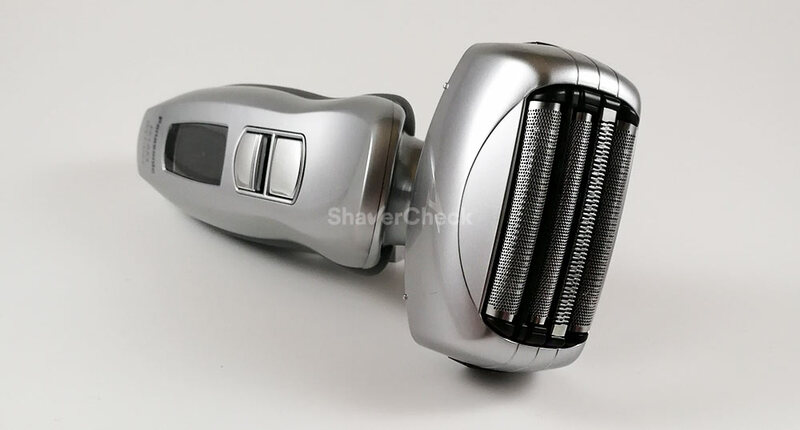 Therefore, the shaver must be capable of capturing and cutting longer hairs. This is usually the Achilles’ heel of most electric razors and because the hair of black men also has a natural tendency to curl will only make the job more difficult. Also, multiple strokes on tricky areas like the neck can irritate sensitive skin. It must have a fast motor, sharp blades and be gentle to the skin. Pulling and tugging are usually caused by dull blades and/or a motor that is not quite up to the task. A quality shaver will provide fast and smooth shaves, will need little to no pressure applied and won’t get hot during operation. Also, changing the blades and foils regularly is a must, especially for men with sensitive skin. 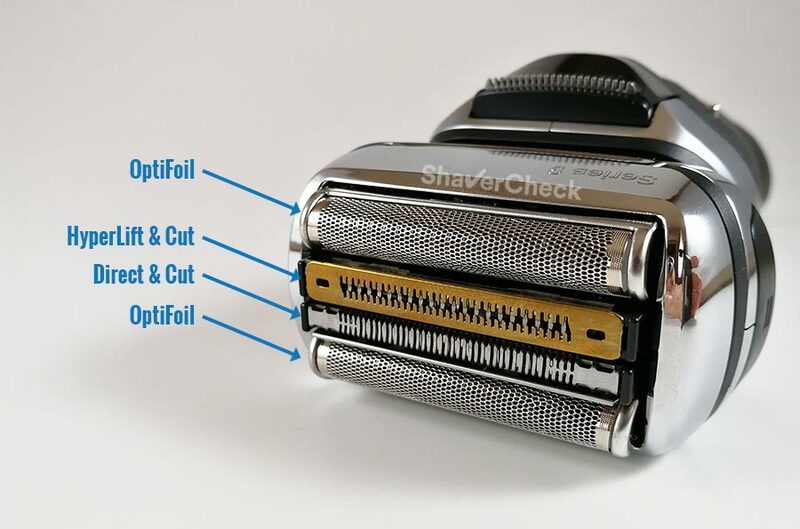 It is a vicious circle: dull blades won’t cut hairs efficiently, thus requiring additional strokes and increasing the chances of irritation and razor burn. Dry and wet shaving capabilities. Even though this feature is not a must, it can vastly improve the shaving experience for some men. Using a quality shaving cream with your electric razor can yield much better results in terms of both closeness and particularly comfort. Some will say that wet shaving pretty much defies the purpose of an electric shaver and it’s a fair point. But if you’re not seeing the improvements you were hoping for, you should definitely give it a try. If wet shaving is a no go, using a pre-electric shave lotion or gel could improve the results of a dry shave. 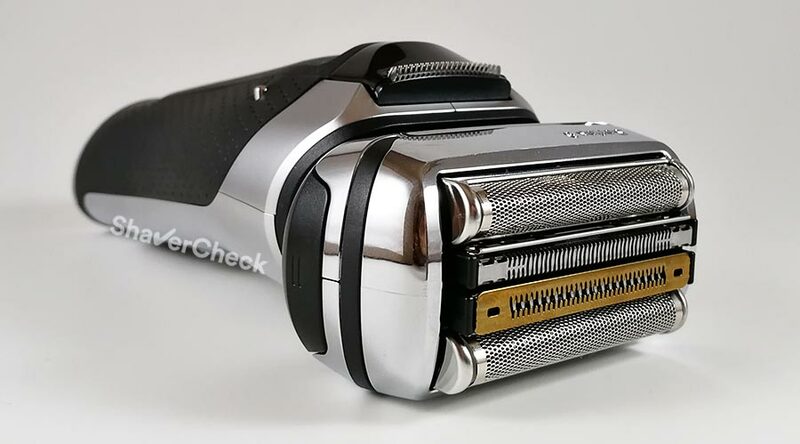 Now that we have a clear picture of the typical problems and the characteristics of a suitable shaver, let’s take a look at some of the best electric razors for black men. 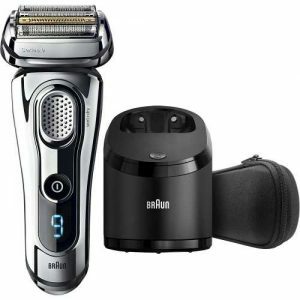 The Series 9 is the latest and greatest offering from Braun and has taken over the Series 7 as the company’s new flagship shaver. The expectations were high and the Series 9 definitely delivers, especially in the departments that we’re most interested in. 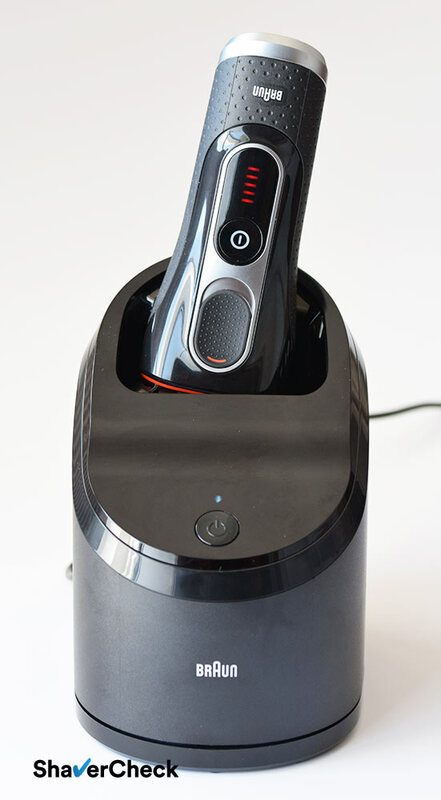 With an improved and more advanced shaving head, an additional cutting element designed specifically for capturing longer, flat-lying hairs and a more powerful motor, the Series 9 is one of the more capable electric shavers you can buy today. While it manages to offer very close shaves, this doesn’t come at the expense of comfort. On the contrary, the Series 9 is arguably the most comfortable electric shaver you can currently buy. Due to its advanced shaving system, it deals with longer hairs better than most other foil electric shavers. So shaving daily is not a requirement here in order to get a smooth, clean shave. This, along with its powerful motor and the skin-friendly shaving head make the Series 9 an excellent choice for black men. The Series 9 is available in several variations, all of them offering the same shaving performance. You can opt for a wet & dry model, like the 9290cc or a dry only model like the 9090cc. Regardless of your preference for dry or wet shaving, I highly suggest choosing a variation that includes an automatic cleaning station, like the Series 9 9290cc. Braun shavers are more difficult to clean manually than other foil razors and the cleaning station does a great job at sanitizing and lubricating your shaver. Your overall costs won’t increase by a whole lot and it’s worth the extra money. 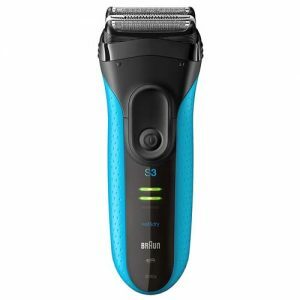 While the Braun Series 9 is probably the best electric shaver for black men, it is pretty expensive. The replacement shaving heads are also rather pricey, but on par with the parts needed for other high-end shavers from the competition. Let’s now take a look at some budget-friendly alternatives. 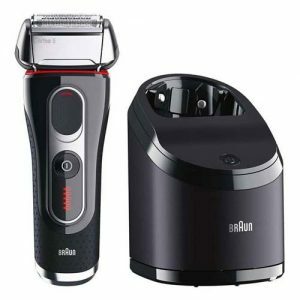 The Braun 7865cc is a wet/dry variation of the highly popular and acclaimed Series 7 line that was widely regarded as one of the best electric shavers you could buy. This razor builds upon that already great foundation of the dry only Series 7 790cc by being completely waterproof, thus suitable to be used for wet shaving. It takes all the positive aspects of the 790CC and adds the benefits of wet shaving. However, the Series 7 is extremely comfortable even during a dry shave. Like its predecessor, it features the same ActiveLift system that lifts and cuts flat-lying hairs. And it pretty much works as advertised. In the context of dealing with curly hairs that tend to grow at an angle, it’s easy to see why this shaver would be a very solid choice. Also, it comes with a powerful motor, a triple blade cutting system and a thin foil that was designed to be kind to sensitive skin and to capture hairs very efficiently. All of the above features help maintain the number of strokes to a minimum while providing close and comfortable shaves. Being an advanced and feature-rich razor, the 7865cc is not exactly on the cheap side, but the performance and comfort are excellent. 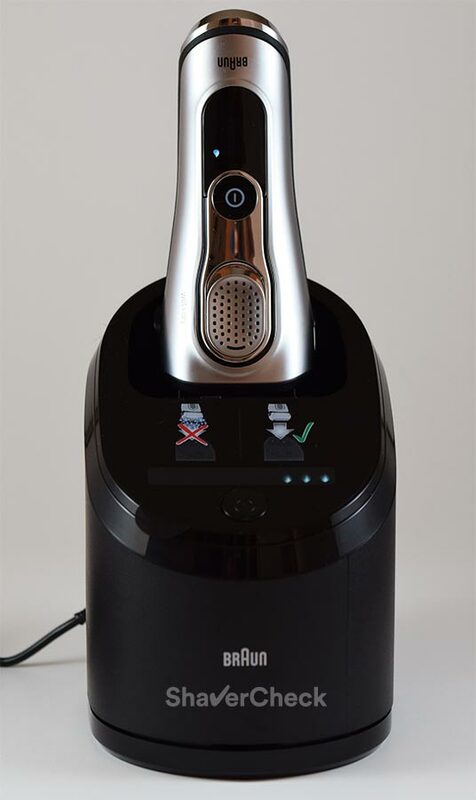 Its micropulsations technology makes the experience of shaving feel more like a gentle massage. It’s also worth mentioning that it comes with a cleaning and charging station that uses an alcohol-based solution and does an excellent job of cleaning and sanitizing your shaver. For more details, make sure to check out our Series 7 7865cc review. The latest iteration of the Braun Series 5 represents a very compelling option. Performance-wise, it’s very similar to the Series 7 above. However, the price of the Series 5 is lower. Just as important, the replacement shaving head for the Series 5 costs a lot less than what would pay for a similar Series 7 shaving head. The new Series 5 still offers the same excellent shaving performance, being very gentle to the skin. 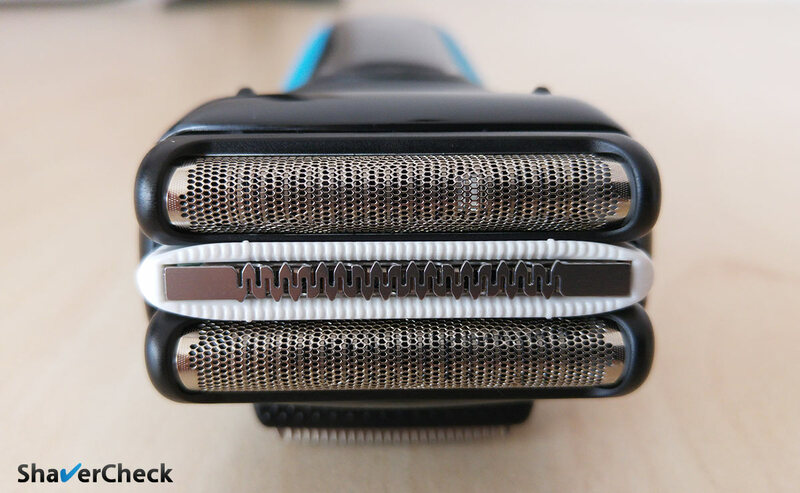 Since its shaving head is almost identical to the Series 7, the Series 5 is a capable and suitable option for black men. It is available for wet & dry or dry only use. You can also buy it with an automatic Clean & Charge station, which we highly recommend. Please note that the station is available only with the cc variations, like the 5090cc that we reviewed in great detail here. This model would be our pick as it can usually be bought for a reasonable price and, of course, it includes the excellent cleaning station. If you’re aiming for a more budget-friendly option, the Panasonic ES-LA63-S Arc 4 will get the job done while also being easy on the wallet. With its 4 hypoallergenic blades, 14 000 CPM motor, wet/dry operation and a thin foil that vibrates and lifts the hairs, this shaver is right for the job. While not on the same level of performance and comfort as its more expensive counterparts like the latest Arc 5 shavers from Panasonic, it manages to get pretty close in almost all aspects. In order to keep the price low, the ES-LA63-S doesn’t come with a cleaning and charging station, but it’s a lot easier to clean manually compared to the Braun shavers above. In my opinion the ES-LA63-S works best when used together with a quality shaving cream as it improves the comfort significantly. 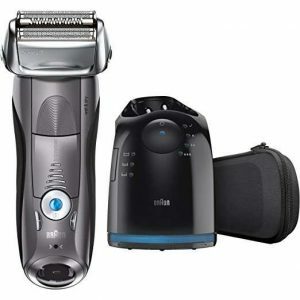 The highlight of this Panasonic has to be the closeness, so if you’re particularly interested in getting a very close shave, you should definitely consider this one. For the whole story make sure to check out our comprehensive review of the ES-LA63-S as well. Finally, the most cost-effective option in our list of recommended shavers for African American men is the Braun Series 3040s. 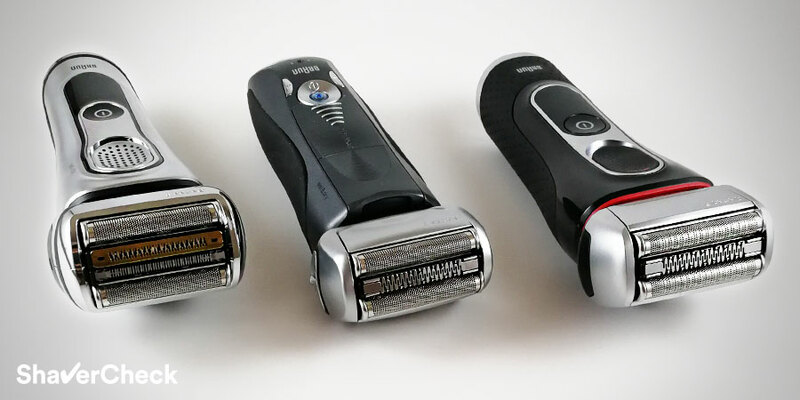 The Series 3 is Braun’s entry-level line of electric shavers. While their performance can’t really match the one of the Series 5, 7 or 9, they can definitely be a viable alternative, especially when used daily. Despite having a dedicated trimmer for capturing longer hairs that lie flat on the skin, the 3040s doesn’t quite manage to do so without additional strokes. 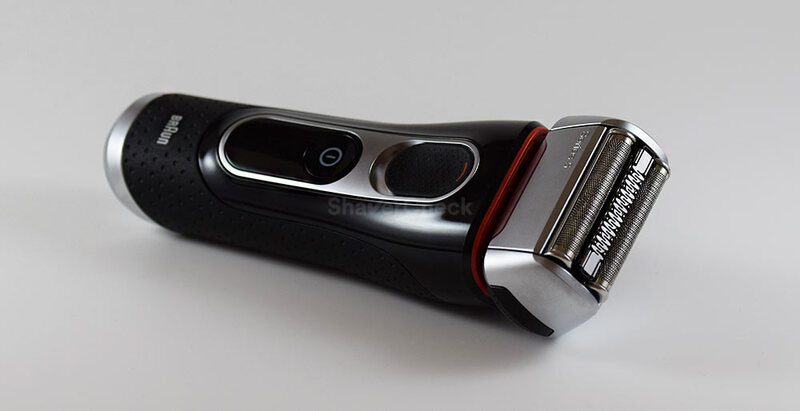 The shaving head of the Braun Series 3, featuring a middle trimmer with micro-comb, designed to capture longer, flat-lying hairs. It’s therefore recommended for everyday shaving when it will yield the best results. 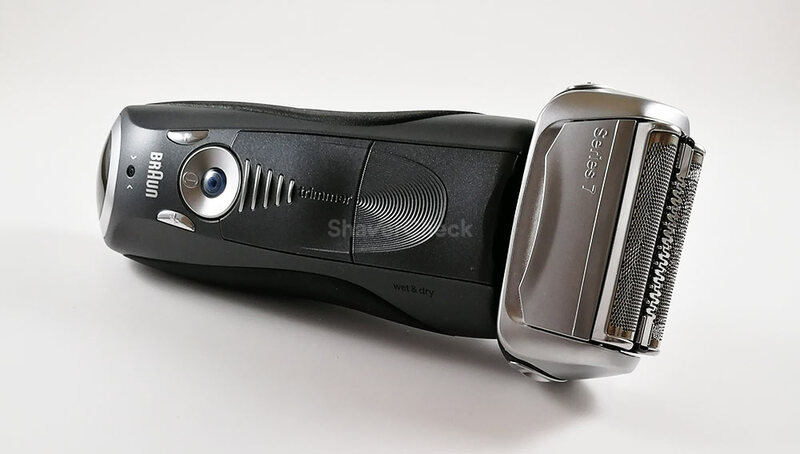 If your budget is very limited, the Series 3 3040s is probably your best option as it is arguably the most comfortable entry-level electric razor out there. Moreover, this particular variation is completely waterproof and can be used both wet and dry. The replacement shaving head is inexpensive and should only be replaced once every 18 months. The list above doesn’t include any rotary razors as I find foil shavers to be a better choice for sensitive skin. However, if you know from previous experience that a rotary shaver would be more suitable for you, than by all means you should stick to using one. The facial hair of black men has certain particularities that make choosing an electric shaver a somewhat difficult task. This article aims at putting you on the right track and helping you narrow down your options. There are of course other excellent electric shavers out there than the ones listed here, so consider it a starting point. Dry electric shaving tips: get your best shave ever! Home » Articles & Guides » Best Shavers » What’s The Best Electric Shaver For Black Men (2018)? I wouldn’t necessarily say that it will give you a closer shave, but it will definitely be a lot easier and more enjoyable to shave your head with the Skull Shaver compared to any other regular electric shaver. The way you hold it makes it very practical to shave your head, even those hard to reach areas where you’ll be struggling with a normal shaver.